Gardner Bender Hydraulic Benders Are Used For Quick And Precise Bending Applications. 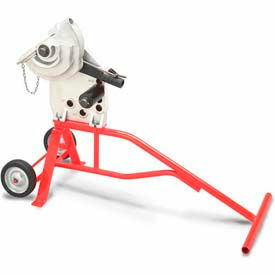 Gardner Bender Hydraulic Benders are made of high-grade aluminum for long lasting durability and dependability. Various models are available for particular use or application.Hydraulic One-Shot Benders bend 1/2 to 2 inch rigid steel or rigid aluminum conduit andHydraulic One-Shot/Sweep Benders bends 1-1/4 to 4 inch rigid steel and rigid aluminum conduit in one shot and 5 inch sweep.Hydraulic Sweep Benders bends 1/4 to 4 inch rigid steel or rigid aluminum conduit sweep/segmental.Ultra Eegor™ Hydraulic Benders have 30 ton, 28 inch stroke cylinder that can make a 90 bend with one pass. Double-acting cylinder for rapid retraction. Improved shoes and follow bars to reduce conduit kinking during bending. Hydraulic power ensures the smoothest bends without deformations to the conduit. Angle markings on frame ensure easy and accurate bending. All models are available withNo Pump, Hand Pump or Electric Pump options. Durable metal job box and optic angle gauge for quick references of bend progression also included. 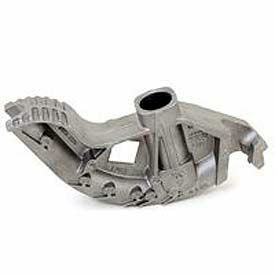 Conduit Hand Benders For Rugged Positioning And Maneuvering. Conduit Hand Benders are solidly forged of heat-treated aluminum or malleable iron for long lasting strength and durability. All models include embossed sight lines of 10, 22, 30, 45, 60 and 90. Big Ben® Hand Benders have improved traditional hand benders by enlarging the hook, increasing the foot pedal size and clearance, highlighting the markings and incorporating a dual sight-line system for bending on the floor or in the air. Made of rugged, heat-treated aluminum. Iron Hand Bender, Thinwall Bender and Hickey Bending Head varieties are also available. 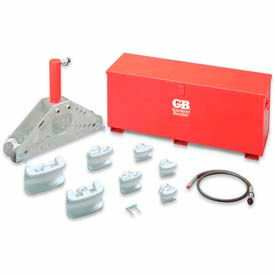 Gardner Bender Powered Conduit Benders For Heavy Duty Projects. Gardner Bender Powered Conduit Benders come in a variety of mechanical and electrical models, all solidy constructed for long lasting dependability. Cycloner™ Conduit Bender has ability to make repeatable bends at the same degree. Horizontal and vertical positions that allow the unit to create accurate offset bends. Four-wheels increase mobility. Low-volt (95), high-volt (132) automatic shut-off helps protect electrical components from voltage fluctuations. Sidewinder™ Conduit Benders come in Mechanical or Electrical types. Mechanical types have shoe lock that slips into place and removes easily for quick change-outs. Can be bolted onto workbench or truck bed for unparalleled flexibility. 0 to 90 bend indicator built into the frame shows bend angle while bending. Double-dog ratchet prevents shoe spring-back during bends; allows fast release after bending. Interchangeable shoes adapt single bender frame to cover widest range of conduit types.